Updated Feb. 18. 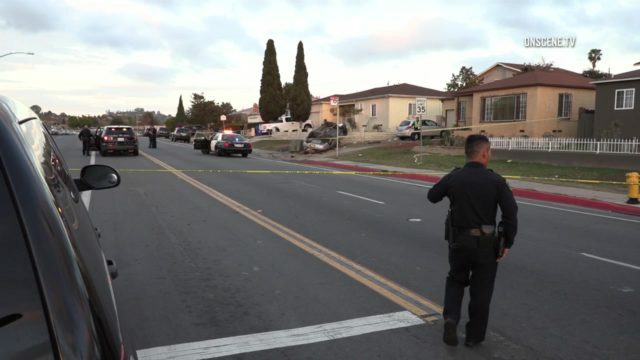 2018 at 10:01 p.m.
A woman was seriously hurt after a car driven by a 52-year-old man veered off a road and onto a sidewalk Sunday in the Valencia Park area, police said. The crash was about 4:20 p.m., outside 5200 Imperial Ave., according to SDPD Sgt. Ed Zwibel said. The motorist, driving a Toyota sedan, was headed west on Imperial Avenue, Zwibel said. For some reason, he crossed over all the lanes of traffic and drove up on the sidewalk, hitting the 67-year-old woman and seriously injuring her legs. The hit-and-run driver then tried to flee from the scene, but was captured by responding officers, Zwibel said. Alcohol and/or drugs appear to have played a role in the crash. There’s no word yet as to what charges may be filed against the driver. Anyone who witnessed the crash was asked call the SDPD at (619) 531- 2000. Tipsters can also call SD Crime Stoppers at (888) 580-8477.